Lanai with Sweeping Views of the Gulf. Dine or just sit a watch dolphin frolic. 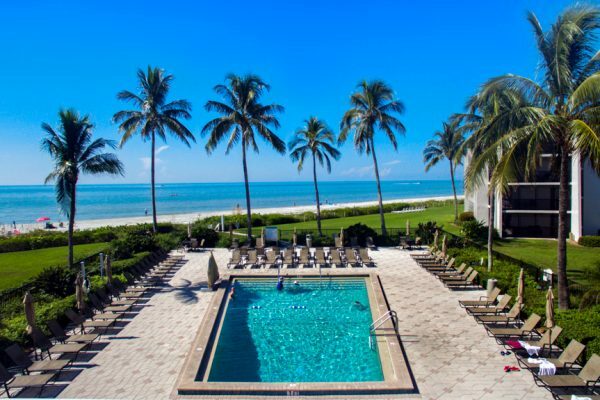 Enjoy full access to the Sundial heated beachfront pool. 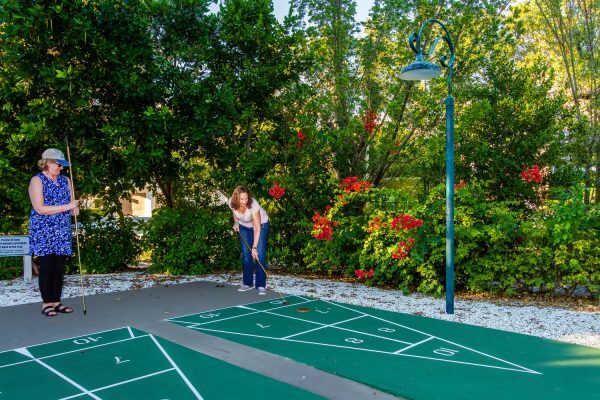 Click here to see all the amenities you can enjoy at Sundial. 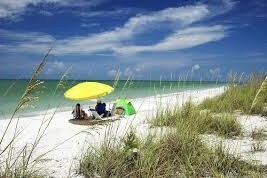 Less Than 25 feet to the Beach! 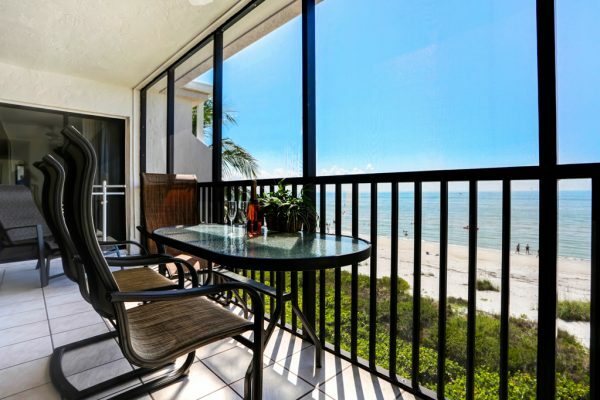 Luxury Grande Beachfront Residence offers Direct Sweeping Gulf Views. Condo K405 features two bedrooms, two bathrooms, living room, dining room, and den. The master suite features a king bed and double sink. The large and bright living room has sliding glass doors to the screened lanai less than 25 feet from the white sandy beach. 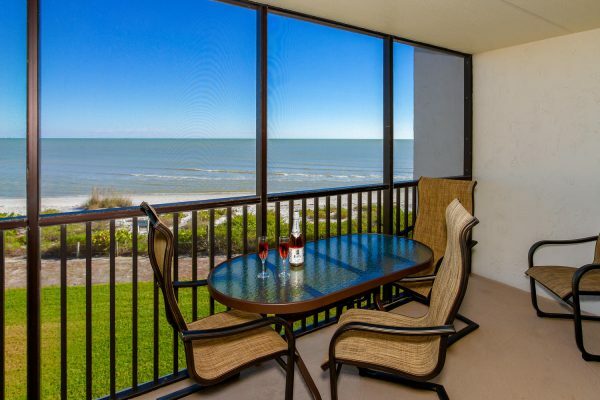 Island Suite One Bedroom offers Direct Sweeping Gulf Views. Condo A303 features one bedroom (with king bed), one bathroom, and living/dining room in an open floor plan. The light and bright living room and bedroom have sliding glass doors to the screened lanai less than 25 feet from the white sandy beach. 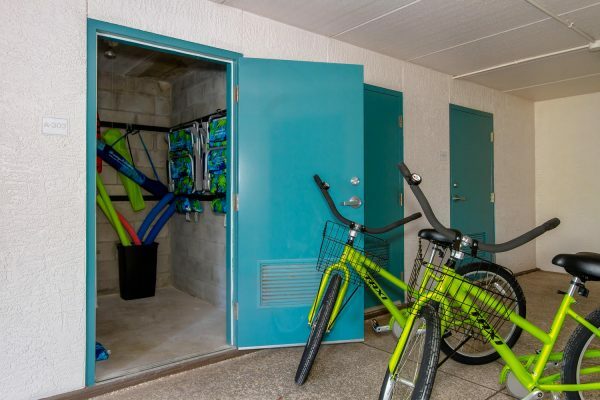 Each condo offers a fully-equipped kitchen, two FREE adult bikes, beach chairs and loungers, pool towels, WiFi, Washer/Dryer in unit, and more. Sundial K405: Top floor, very private, spacious 1500-plus square feet suite with panoramic Gulf views. Recently updated, well-furnished, spotlessly clean. Sleeps six comfortably with king bed in master suite, two twin beds in guest bedroom, and queen-sized Murphy bed in den. Sundial A303: Third floor, very comfortable 920-plus square feet suite with panoramic Gulf views. Recently updated, well-furnished, spotlessly clean. Sleeps four with king bed in master bedroom and king-sized Murphy bed in living room. 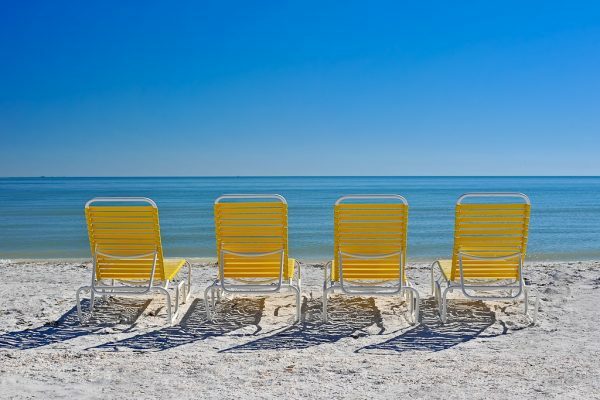 You can depend on our reputable management company located on Sanibel for a comfortable and carefree vacation. 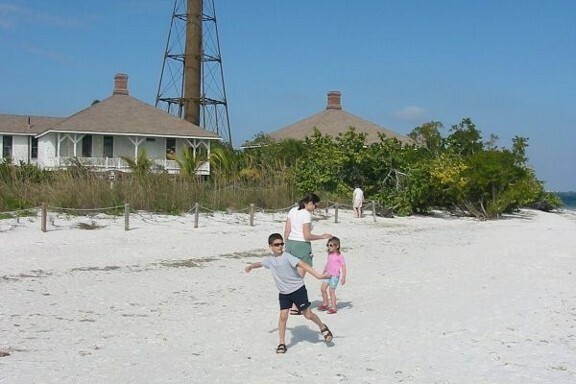 Our vacation condos are rented on a weekly basis, Saturday-to-Saturday. 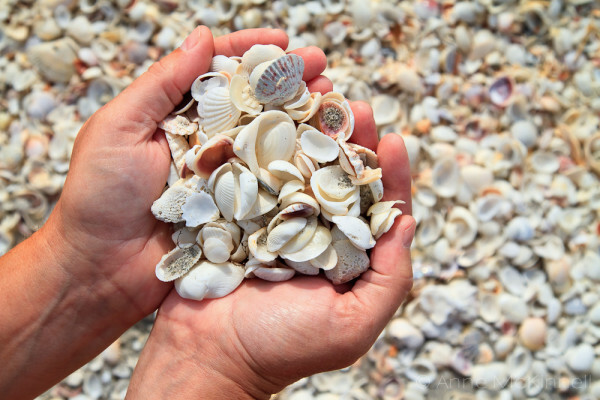 The Sundial complex offers the white sandy beaches of Sanibel, beachfront heated swimming pool, free WiFi, BBQ gas grills, shuffleboard, free parking, and more. 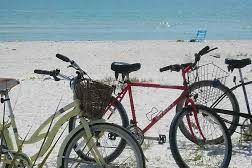 The adjoining Sundial Resort offers for a fee: tennis including court time, lessons, round robins and clinics; restaurants, pizza shop, tikki bar, boutique and spa services, Bailey’s Marketplace, and Sanibel Sea School. Other Sundial Resort amenities are not available. Save 30-50% over resort prices. 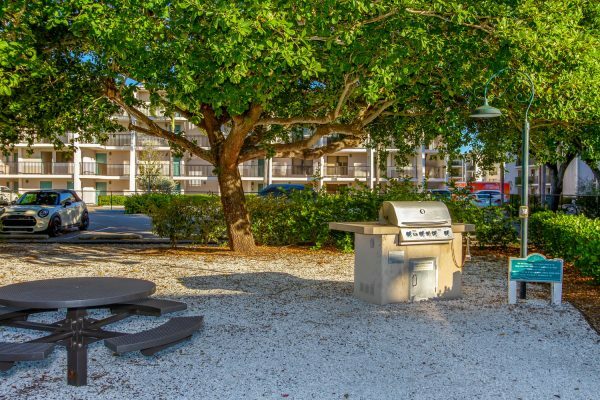 Rent directly from us and get the exact condo you see here! If you are interested, contact us as soon as possible! Our condos book quickly due to location, pricing, cleanliness, and most importantly, VIEWS, VIEWS & More VIEWS. 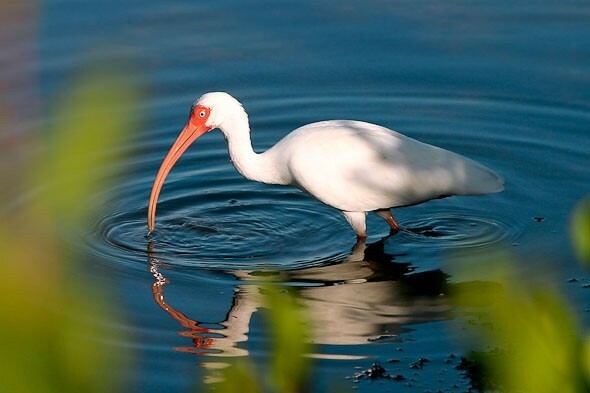 While we advertise on airbnb, vrbo listing 28475 and vrbo listing 376891. Booking directly through us will save you almost 15% in third party “service fees”. We rent Saturday to Saturday. Call for exceptions. Copyright © 2007 - Present. All Rights Reserved Worldwide.